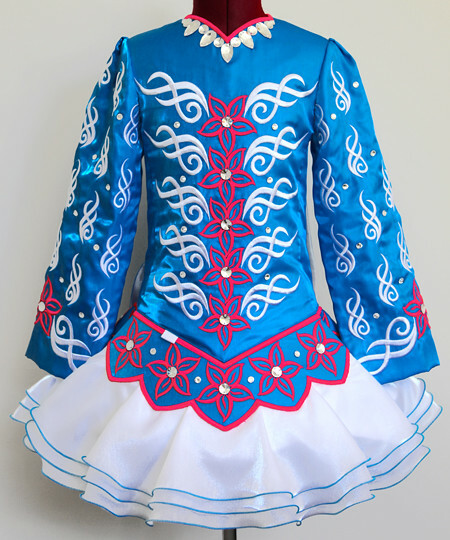 Turquoise twinkle satin bodice and sleeves, with fluoro watermelon and white floral embroidery design. 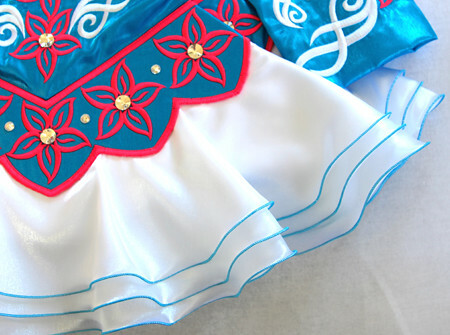 Modern style skater skirt constructed from three layers of white twinkle satin with turquoise trim. Soft style shawl constructed from turquoise twinkle satin with matching watermelon and white floral embroidery. Bright turquoise and white polka dot skirt lining. 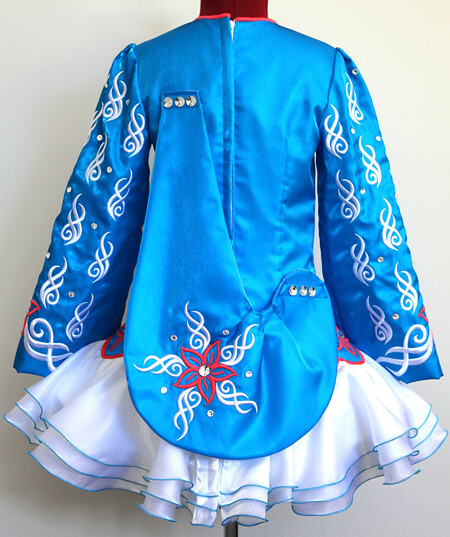 Swarovski SS40 crystals scattered over bodice, sleeves and shawl for sparkle; Swarovski 3200 and 3230 crystals decorate centre of flowers and around neckline.